Say, you have some surplus funds with you; so naturally, you can now use the money to get yourself something which you might not necessarily need, but just want. There could be various ways you could spend some surplus money. Like, you could be planning to buy a brand new bike or a car within the next 3 to 6 months. Or, you might want to go for a 6-month or a year-long vacation to a foreign land with your family and friends. Whatever the reason, you might find yourself looking into short-term investing, nothing more than probably three years of time frame. With quite many options to go for, you could choose one of the post office schemes or Fixed Deposits with banks that offer 4 to 8 per cent returns annually, for a period ranging from 3 months to a year. Instead, if you opt for short-term mutual funds investment, you could get yourself higher returns. So, whether it’s a down payment of your newly-bought car you need to pay within the next few months, or pay off the down payment for your house, pay your child’s school fee, or purchase gold for your daughter’s wedding - find out the top mutual funds in India, and start planning for investment. There could be hundreds of reasons for you, but when you decide to invest short-term, you will find mutual funds to be your best bet - certainly so, if you compare it with making an FD or a PO scheme, as we saw earlier. But, with this investment option too, you will need to go ahead with careful planning; that’s the only way you can ensure that you choose the right one amongst the best mutual funds 2019 has in store - the kind that will best suit your needs. Before you launch yourself into choosing a mutual fund and investing your money, you should first be clear about what it actually means. After all, you wouldn’t want to invest your hard-earned money just anywhere, would you! Starting with a basic definition, a mutual fund is nothing but a pooling entity, specifically for investments, which is managed in a professional manner by many of the Asset Management companies we have in the world. It’s an entity or a group wherein investors like yourself invest their money in stocks and bonds, amongst other available avenues. If you become one of the investors, you will be assigned certain mutual fund units that will indicate the contribution you’d have made towards a particular scheme. After a while, you can either buy or redeem the same units on an as-per-need basis, at whatever the fund’s prevailing net asset value (NAV) might be. We say ‘prevailing’ because a mutual fund has its NAV changing on almost a daily basis, depending on how the valuation of underlying assets of the fund might change. 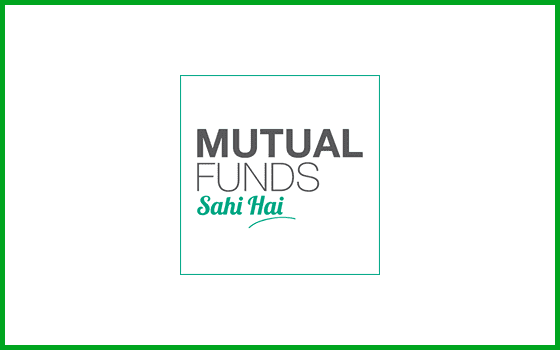 We are a little biased towards mutual funds, not just because they give higher returns, but also because in order for them to even operate, they have to compulsorily register as well as operate within the regulations set by SEBI. The major benefit, though, is that even if you make a relatively small investment, you still get to have access to a diverse range of professional fund management portfolios. Now that you are absolutely sure of your decision to invest in mutual funds, we are going to embark on the next step - how does a person invest in a mutual fund. Take note of these very simple 5 steps, and you’ll be good to go. First off, have a good understanding of your risk tolerance as well as risk capacity. In other words, this is called risk profiling which means you need to identify the amount of risk that you would be capable of taking. The second step for you should be, asset allocation. Once you know you’ve done your own risk profiling, you should begin dividing your money between the different asset classes. Try to do this in a way that your asset allocation has a mix of both debt instruments as well as equity so that you will have a better chance of balancing out the risks. Next up, identify the mutual funds that invest in each of the asset classes. You could compare these funds based on the investment objective and their past performance. The fourth step will be you deciding which mutual fund schemes you’d like investing in, and subsequently submitting the application either online or offline. The last step is something that you need to do regularly - that is, diversify your investments and keep taking follow-ups so as to make sure you get the best out of your investment. 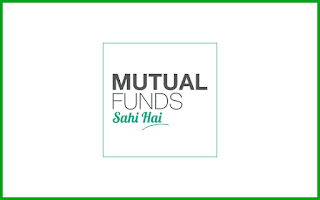 Checkout the short term mutual funds 2019 with approx yearly returns in the 2019.